How to Add a Featured Image to WordPress Posts: Complete! WordPress has come a long way since it’s inception, and post thumbnails, aka Featured Images as they’re now referred to, are one of the better improvements ever made to the service. Since WordPress 2.9, released on December 18th way back in 2009, this feature has made it easy to assign a post a particular image, which is then often displayed somewhere in your theme. Just click Set Featured Image to get the process started. 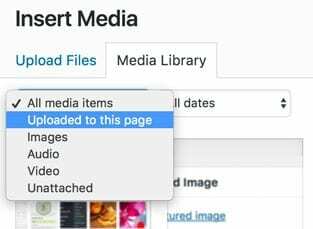 Click Set Featured Image will bring up the media library and uploader. 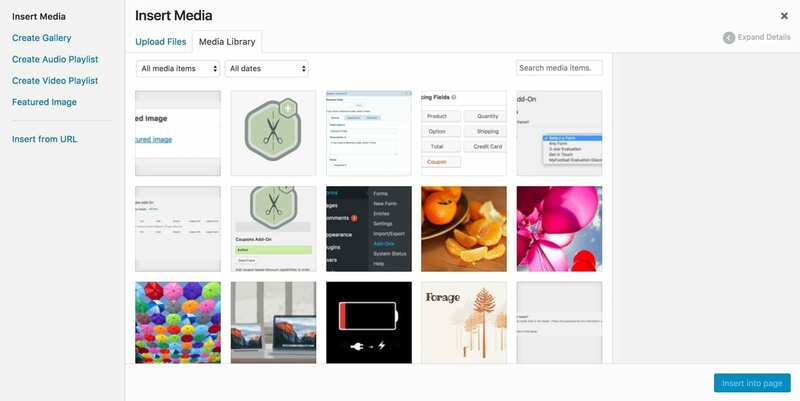 You can choose from an existing image or upload a new one (just drag and drop an image from your desktop anywhere onto the media library box). If your theme was built a long time ago, or the folks who built it simply didn’t include the featured image functionality at first, but you’ve got the Set Featured Image functionality now, you can make it easier to find an image that goes with the post using the dropdown box as shown below. Choose Uploaded to this page from the dropdown to only see images that were uploaded via this post. Don’t forget to Update or Publish the post when you’re finished. Featured Images will display on the front end in a myriad of ways, depending on your theme…or possibly not at all if your theme doesn’t call the <?php the_post_thumbnail() ?> or some other equivalent code. What if my featured images aren’t showing? Well, things could get tricky, but if you’re comfortable editing your theme (or child theme), you can open functions.php and add this line somewhere (make sure it’s not already in there) if you don’t have the Featured Image box already. That will create the actual Featured Image box itself, and set you up for the beginning of your eventual success. You could leave the true part off and the image will be cropped to fit within that width and height dimension. When you make the name, just remember not to use special characters other than underscores (including spaces or hyphens).